International regatta will take place at San Diego Yacht Club, Oct. 19-21. 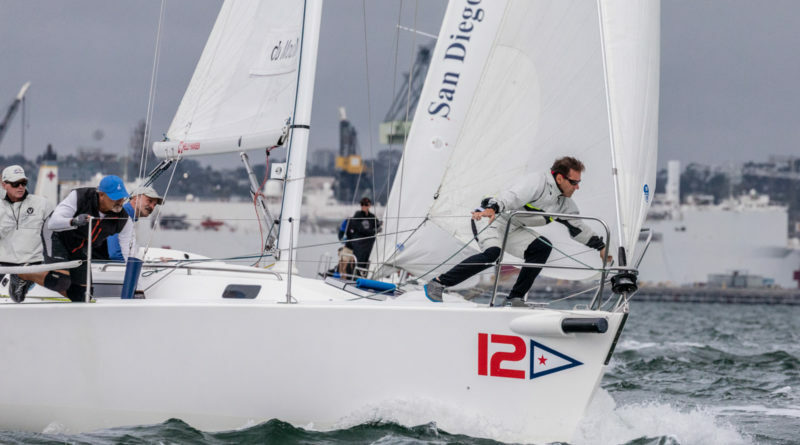 SAN DIEGO — Some of the biggest names in sailing will be in San Diego, late October, as the International Masters Regatta comes to Southern California. Bill Peterson, Tad Lacey, Don Trask, Jon Andron, Andy Roy and Richard du Moulin are among those participating in this year’s regatta, hosted by San Diego Yacht Club, Oct. 19-21. Roy will be coming to San Diego from Canada. There will be 12 sailors competing against each other, in all, with teams navigating San Diego Bay aboard J/105s. Bill Campbell (San Diego Yacht Club) defeated Andron (St. Francis Yacht Club) for first place honors last year, followed by Lacey (San Francisco Yacht Club) and Bill Menninger (Newport Harbor Yacht Club) in third and fourth places. Registration and weigh in for this year’s regatta will begin at 10 a.m. on Oct. 18, followed by a practice race that afternoon on San Diego Bay. San Diego YC will host a “Taste of Point Loma” event for participants at 5 p.m. on Oct. 18. Racing begins at noon – after breakfast and a competitors meeting – on San Diego Bay, Oct. 19. A dockside social will be held at San Diego YC’s guest dock after racing. Teams hit the water again on Oct. 20 and 21. An awards ceremony will be held at 5 p.m. on Oct. 21, after racing. Andy Roy, Royal Canadian Yacht Club. Alan Clark of Richmond Yacht Club won the first International Masters Regatta in 1979. He defended his championship with a repeat win in 1980. Kaneohoe Bay Club Yacht Club’s Cy Gillette won the regatta in 1981, only to see Clark win it again in 1981. Clark would win his fourth and final International Masters Regatta in 1987; Gillette won it again in 1988. The regatta was not raced in 2009, 2010 and 2011. San Diego Yacht Club has won the International Masters Regatta for times since 2012. Don Trask, a member of St. Francis Yacht Club, originally established the International Masters Regatta in 1975. The race coordinators are Chair Alli Bell (allison.catelyn@gmail.com) and San Diego YC Waterfront Director Jeff Johnson (sailing@sdyc.com, 619-758-6310). Visit sdyc.org/masters/the-race for more information.